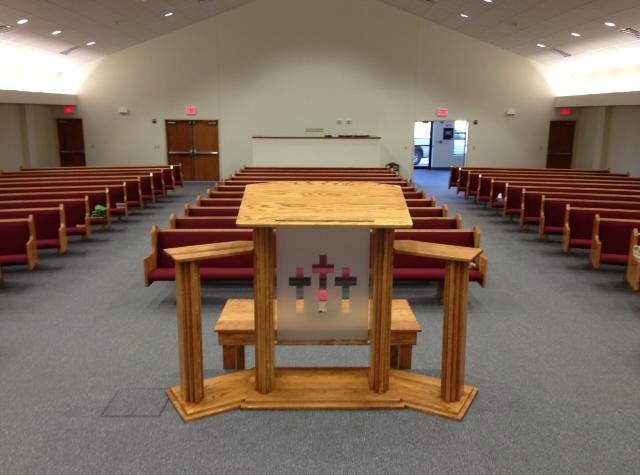 We installed church pews not too long ago for Blunt Baptist in Sallisaw, Oklahoma and recently delivered a new church pulpit to their sanctuary as a new addition to their church furniture. 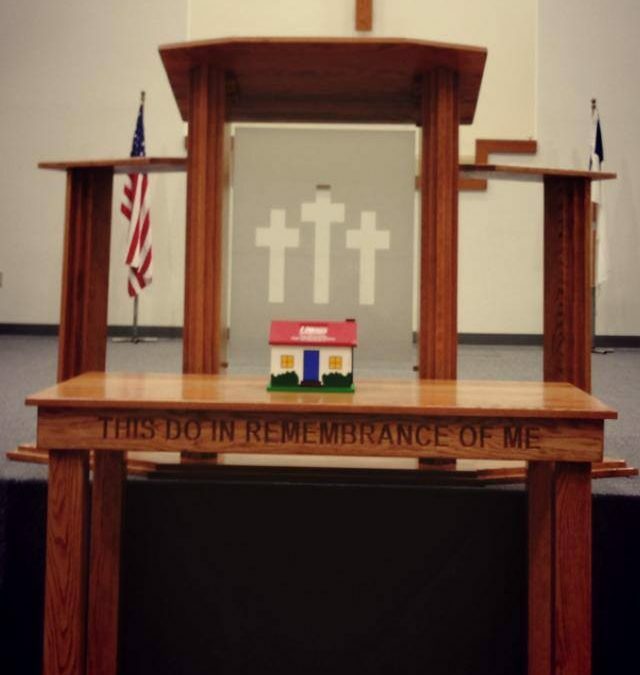 This pulpit is an example of completely custom work we can do for your church if none of our standard custom built options are what you’re looking for. 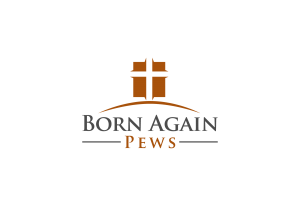 Since we use time tested techniques for building our church furniture and are experts at woodworking, we can take on any challenge to build something special for your church. This pulpit features an acrylic pane with three crosses, perfect to match the crosses on the church pews. The design of the pulpit, with a single main panel and two wings on the sides, really drives home the triune motif that is so important in Blunt Baptist’s church furniture. With three crosses and three sets of church pews, it’s only fitting to have a pulpit that echoes that style in its form. The wood is also the same as the church pews and is stained the same color to match so the look of all the church furniture is cohesive. We previously installed church pews and a communion table in their sanctuary and used the same stain to match, which is one benefit of using one company for all your church furniture. Because we use the same materials and stains, you can order different items, even far apart from each other in time, and we can match all your church furniture. You can’t say the same if you’d shopped at different companies for all the different parts of your church furniture. If you’ve got a special idea in mind for a pulpit or any other type of church furniture you need built, give us a call and we’ll see what we can do to work with you to make your idea come to life.